← Is This What We Really Want? 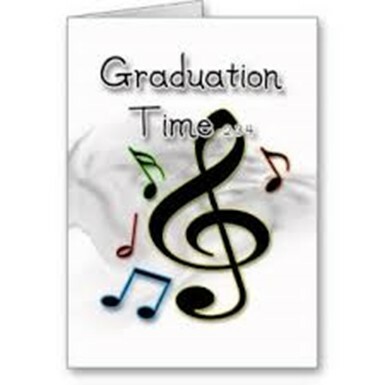 Home » Music » Graduation Time! For some, saying it’s Graduation time might be pushing it a little, but for me, it’s just about right! It actually happened! I finally graduated the course I’ve been wading through for the last couple of years and now, I get to put into practice those things I thought I already knew and probably didn’t! Naturally, as my Grandkids might say, “What did you have to graduate from Grandpa Rod? You told us you already knew everything there was to know about everything! Grandkids are so gullible! Maybe I didn’t quite know everything about everything before a couple of years ago. Before then, I had never heard of anything called a Certified Music Practitioner or a hospital using a guitarist playing calming music in their pre-op area to help relieve patients’ anxiety over an upcoming procedure. All that and and the comfort of feeling that yes, you are in a safe, caring environment where people do want you to be relaxed and feel the best you possibly can! Not only are musicians being made use of in pre-op areas, I got to experience it very quickly during my internship in ICU and Cardiac and Emergency as well as the one on one contact with patients in their rooms prior to, or following, surgical procedures. Many thanks to the good folks at North Suburban Hospital in Thornton and Adventist Hospital in Parker for allowing me to do so! As I drew closer to graduation, a friend of mine sent me this little sign that is an awesome use of music to describe people’s feelings and it’s true! Music has that way of affecting feelings and changing a mood, making things seem not quite so harsh, or maybe making the road not quite so long and steep. 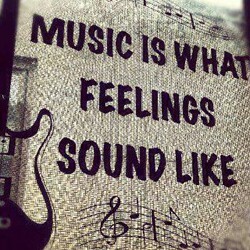 Music is what feelings sound like, and I want to take my hat off to the person who came up with that expression. No one ever said it better! Recently I substituted on the band at the Lakewood Elks and the bandleader, a nice guy named Steve Patterson asked me if I would consider playing my music for returning Vets coming back from military duty. Lakewood Elks is very involved in that kind of thing. Not only caring for returning Vets but they have other programs like trying to help them rehab and rejoin their place in society as well. How can that be? We take young men and women, tear them away from their families and those they hold dear, send them over to foreign lands to fight for our freedom, bring them home and cast them aside like a worn out pair of sneakers to fend for themselves? That’s not fair folks! So, here we go. I already have a friend who calls me “Hospital Hank” and I’ve got that old Silhouettes song, “Get a Job lah de dah dah,” ringing in my ears as I begin the long process of auditions and interviews while I try to find a place to fit in. Odd as it may sound, there aren’t too many hospital folks standing on street corners shouting “Hey, we need music practitioners over here!” But, you never know, someday you may end up in one of those yourself to fix a hangnail or something. If a homely old Canadian toting a guitar shows up, asking if you might like to hear a little healing music, please be kind OK? 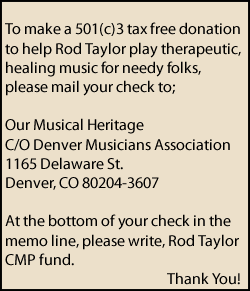 This entry was posted in Music and tagged Music, Music Practitioners. Bookmark the permalink.